In stock 230 items in stock. 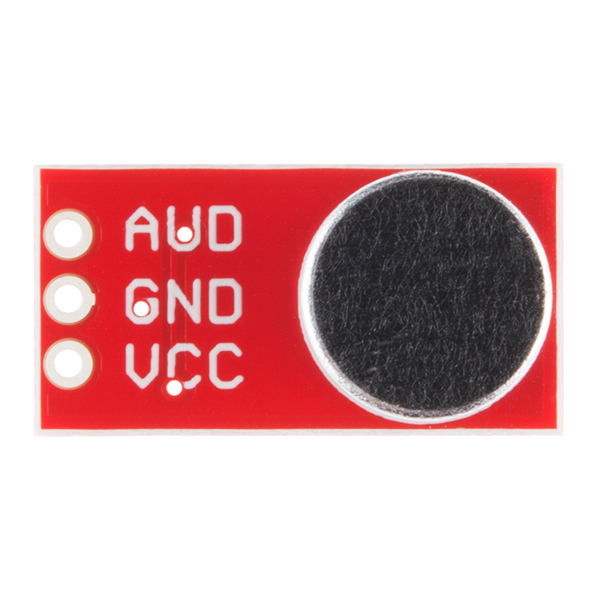 How to hook up the LM3914 or LM3916 to drive a 10-LED display with a lone analog signal. 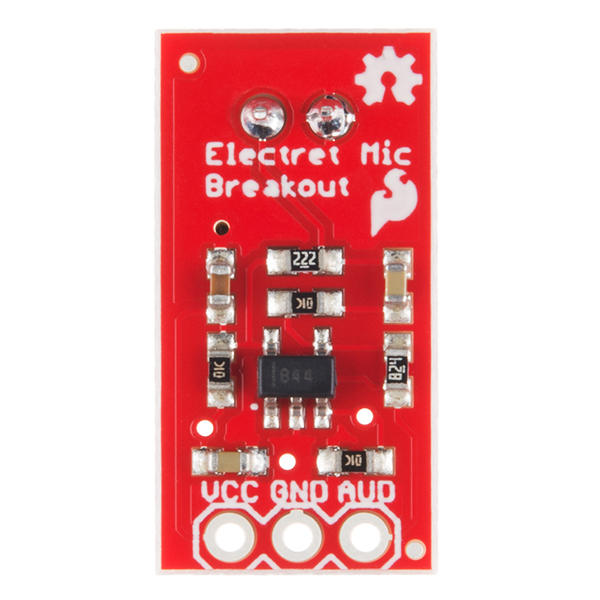 An introduction to working with the Electret Mic Breakout Board. I've seen the different projext presented as exemple, and knowing that there's one working with voice recognition, can we use this component to create a violin tuner ? Can I perform voice recognition from the signals received? Can someone please let me know if this can be used to detect heart sound? And how can this be used to pass data via bluetooth? What is the Output Impedance of this? Will it work if connected directly to a PC Soundcard? How about the Electret Microphone itself? 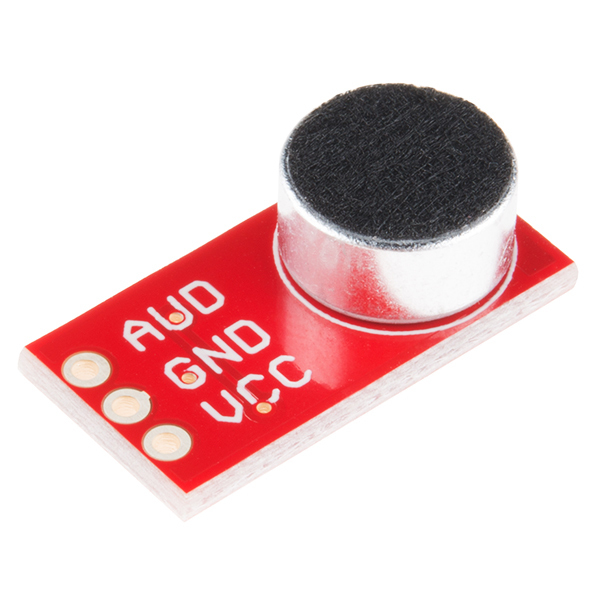 Can this be used as a drop-in replacement for adafruit's model (https://www.adafruit.com/product/1063)? I don't see why not - we do use a different op-amp for the pre-amplifier and we do not have selectable gain. Our specs a slightly different...just depends on your application and your gain requirements. Is the output centered on 0? no, note the bias V on non-inverting OA input pin. So will be referenced to approx 1/2 of Vcc. How is this different from BOB-09964? This is a revision of that product. They still have the same function but the revision has an updated filter for better performance. There is also a tutorial with a couple example projects and more projects to follow in early July. Got it, thanks! I'm always curious what's different when there's a new revision of a product. As a "Mr. Wizard" experiment with the kids we set out to measure the speed of sound. Previous attempts used a firecracker to interrupt/allow a laser beam, because a very loud noise was needed to detect the arrival of the sound. With the electret microphone breakout I was able to easily detect the sound of a popping balloon. Now I can do the experiment legally and accurately. Developed a white noise system for our Advance Physics Lab for the students to explore.long data sampling. Have several different diameter tubes with different lengths and placed a speaker at one end that is powered by a white noise generator and the other end the SparkFun Electret Microphone Breakout that is then connected to digital oscilloscope. The digital oscilloscope takes a long data record 2-Mega-points and an FFT is performed to find the resonant frequency of each of the tubes. 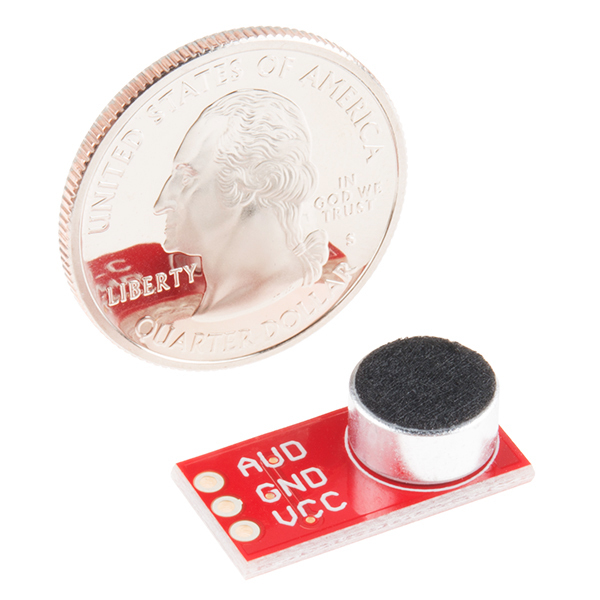 The SparkFun Electret Microphone Breakout worked very well for this and will be using it in more labs. Simple but effective little breakout. I also reduced the gain on one and took out the mic and bias resistor to create a line-input circuit amp. Thanks for making life a little easier guys.